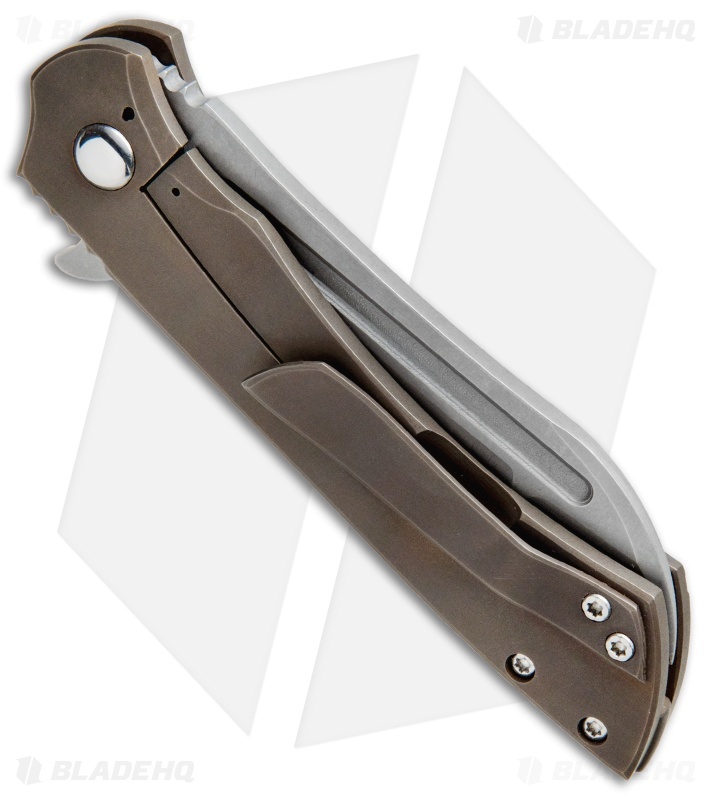 The Doc Shiffer Valkyrie features a practical EDC build with an elegant design and sturdy titanium frame lock construction. This model has a 3.5" sheepsfoot blade made from CPM-154 stainless steel with a heavy tumbled finish and a compound grind. 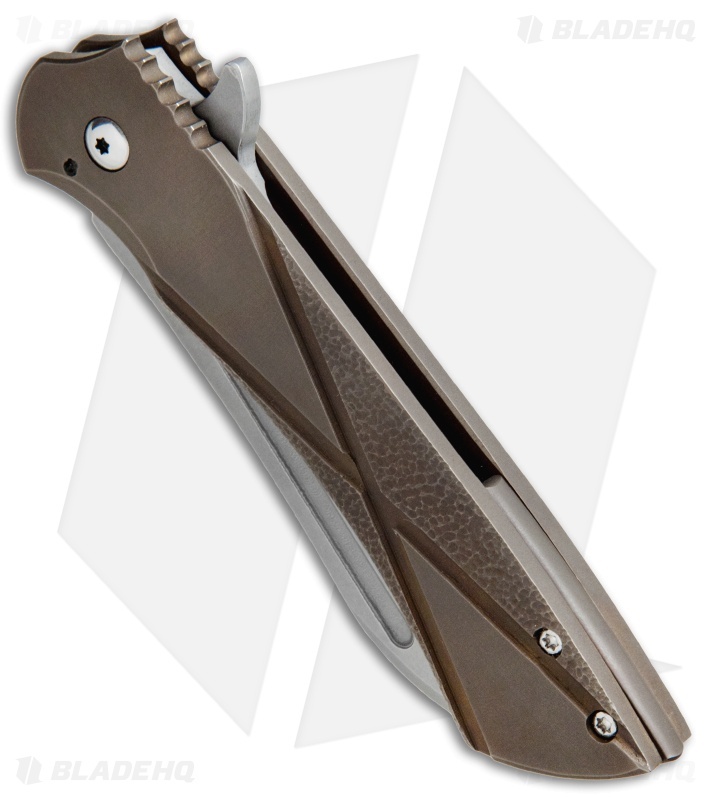 Its titanium handle sports a bronze anodized finish, a textured X pattern on the front scale, and aggressive thumb jimping. 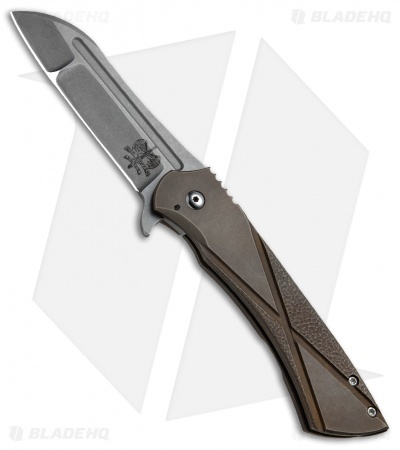 The knife comes fitted with a matching bronze anodized titanium pocket clip and back spacer.